Excellent condition. 21, 000 miles. New front tire, rear tire in excellent shape, gel cell battery, new oil change, licenced until April 2019, after market exhaust, windshield, saddle bags, backrest & running boards.Year 2000. 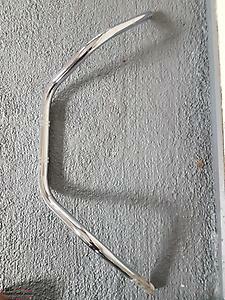 Fit's V Star 1100 Classic Silverado - OEM - 4 inch center to center mount point In good condition Willing to ship! 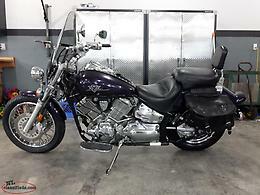 2015 Yamaha V Star Classic. Like new only 983km’s. Only one owner, Must see, serious inquiries only. Email is the best way to get me. 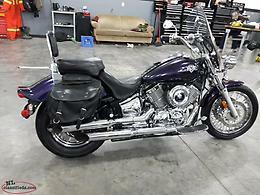 Selling my 09 1100 Yamaha V Star Custom. 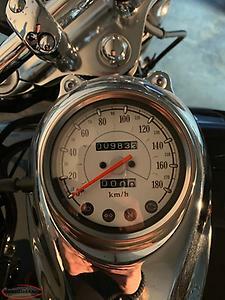 Bike is in mint condition and has a little over 10000 kilometres on it. New battery last summer. Original seat and a set of aftermarket pipes to go with her. Selling because I don’t get time to ride. Serious enquirers only. Text 682 2603, or email. 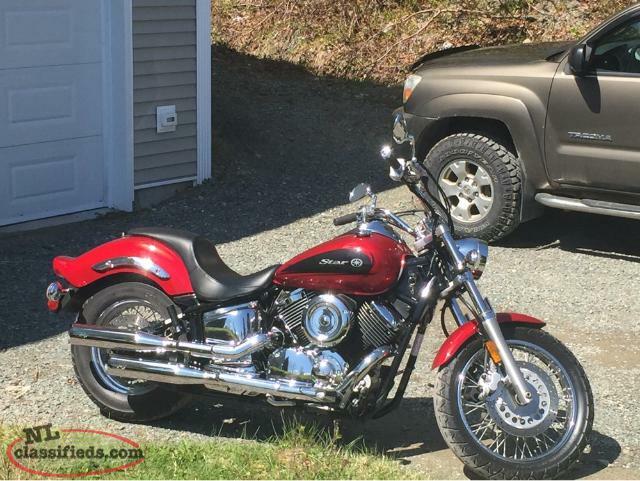 Hi, I'm interested in the '1100 Yamaha V-Star motor cycle' posted on NL Classifieds! Please contact me if still available.